I am so over this weather. I know I go on and on, but REALLY. It’s South Carolina. I do hot yoga. I’M A WARM PERSON. Working at home also makes me colder, somehow – no matter what I do, if I’m sitting and working at home I’m just COLD. Big socks and hot tea are sort of my thing. I want warmth. I want walks at lunch that don’t make my eyes burn. That is NOT too much to ask, Mama Nature. Make it happen. This works for me sort of like hot tea does – warms me from the inside out. 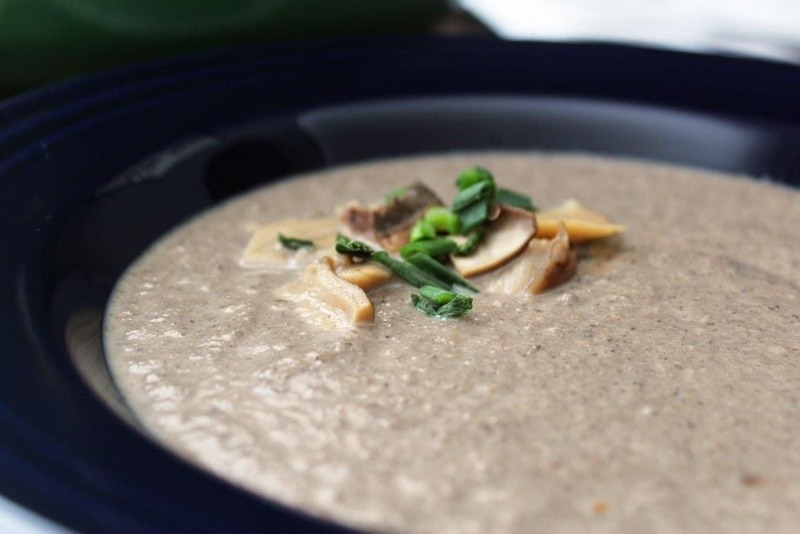 It’s soup made with mushrooms. That’s really kind of it. 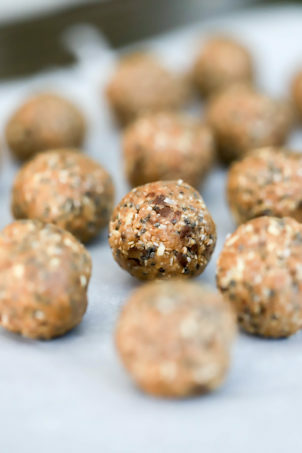 Nothing fancy, nothing complicated save for some dried mushrooms, and the FLAVOR. I love it. Jay does not. Mainly because he hates mushrooms. He claims to like the flavor, but didn’t in this soup so…it’s mushroomy, is what I’m trying to say. Don’t be like Jay. Be like me. Let’s make soup! These measurements are for about 6 bowls of soup. YUM YUM YUM. You need mushrooms! 3 pints – cremini or button, whatevs. You also need dried mushrooms. You could use porcini, like I have here, or you could use a box of those dried blends you can find easily in grocery stores. Any dried mushrooms will do! 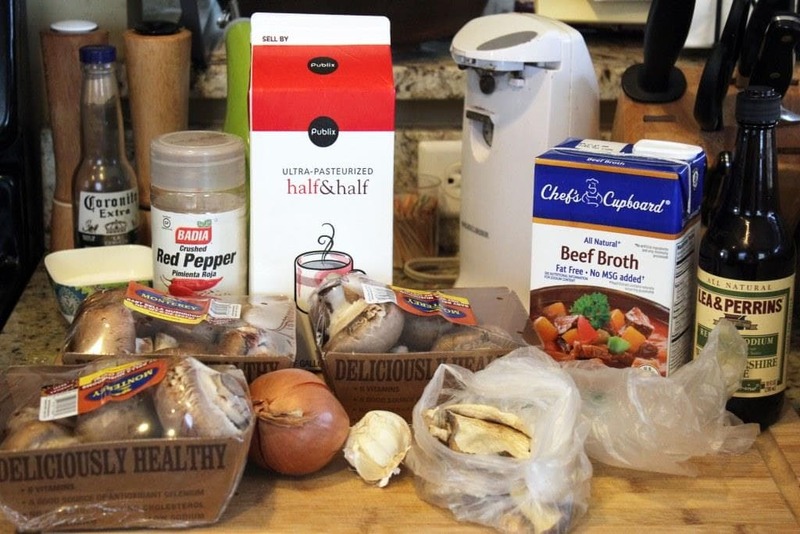 You also need onion, garlic, Worcestershire sauce, crushed red pepper, half and half, and broth. Beef or veg, your choice. Chicken would probably be weird. First, we’ll work on all the mushrooms. 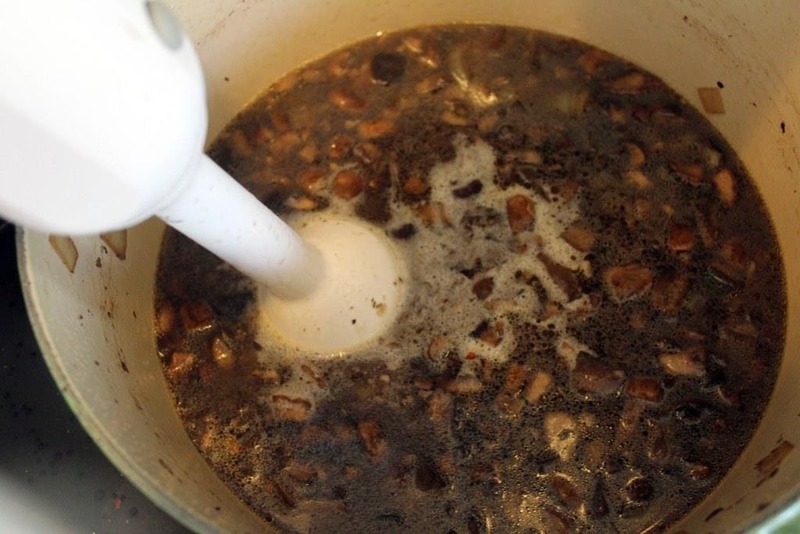 In a small pot, place the dried mushrooms with the stock and turn to medium. 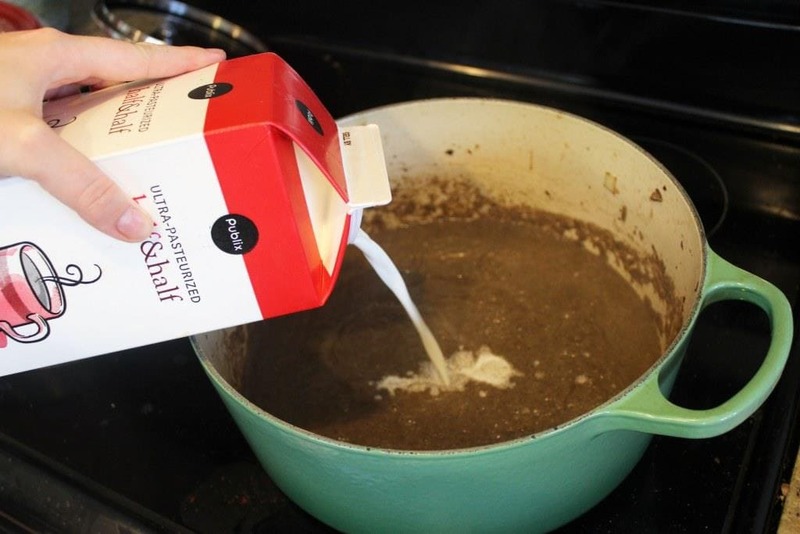 Let the mushrooms simmer and reconstitute while you get the soup going in another pot. The beef stock ends up being beefy mushroom stock! 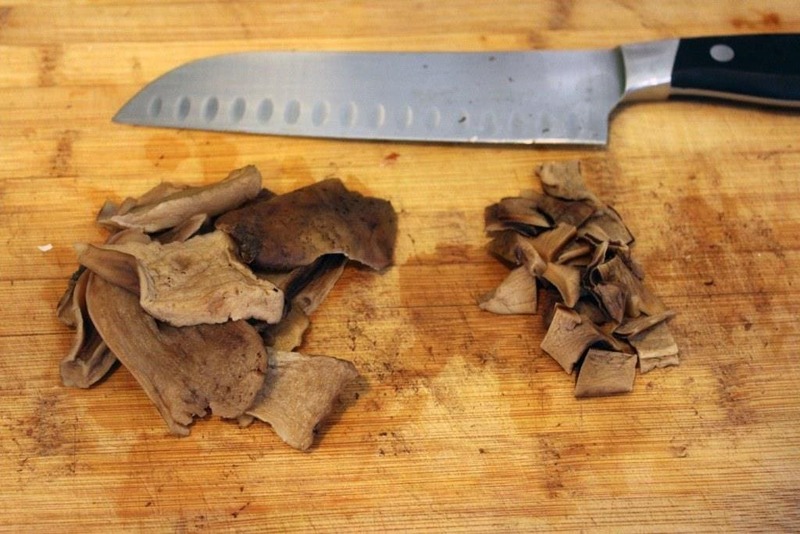 While the dried mushrooms work, roughly chop the fresh mushrooms. Add the fresh mushrooms to a large pot with a drizzle of oil over medium heat. Sprinkle the crushed red pepper on the mushrooms. I went heavy on the flakes here – the heat in the soup with a pretty flat flavor profile is super delicious. Stir the mushrooms occasionally as they cook down for 10 minutes or so. We want them to release all their liquids and turn dark brown. 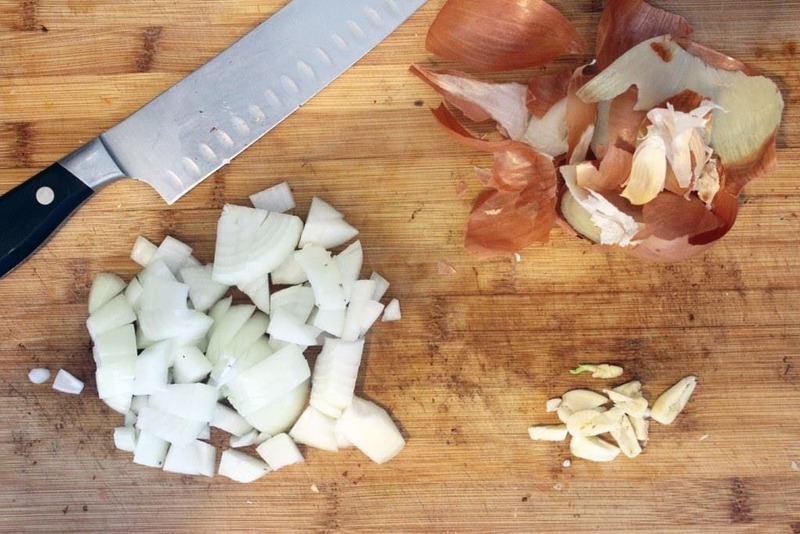 While that’s happening, peel and roughly chop the garlic and onion. 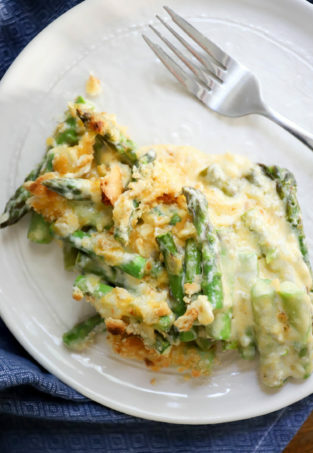 Don’t fret about it too much, we’re going to puree all of this before we eat it! 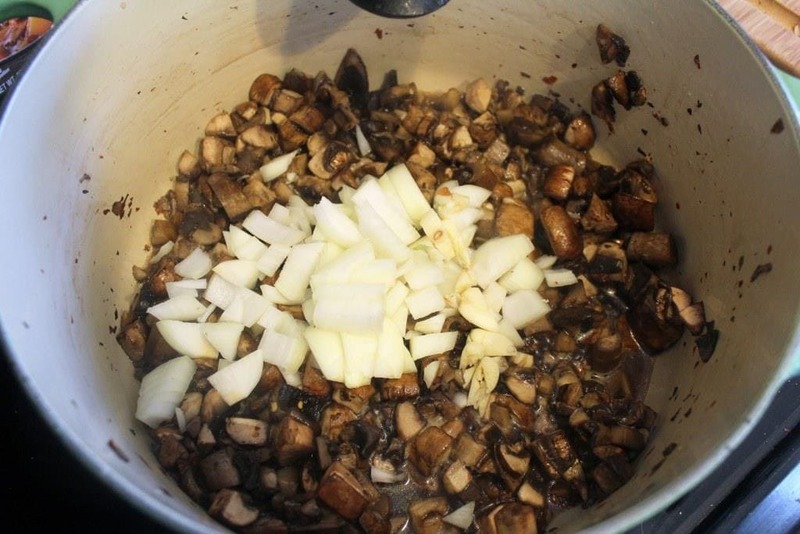 When the mushrooms turn dark brown, add the onion and garlic to the pot with a light sprinkle of salt. Stir, and cook for 5 more minutes to soften the onions. Now, the dried mushrooms should be soft in the stock by now. 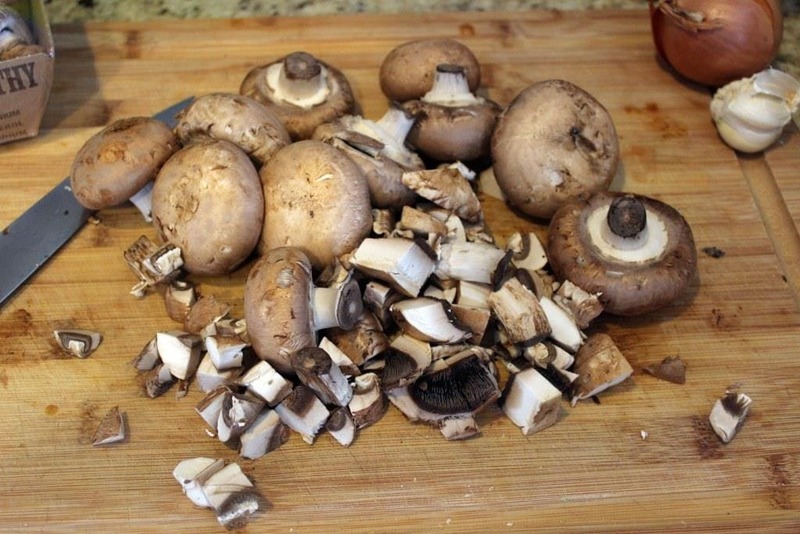 If they’re not, turn off the fresh mushroom pot for a few minutes until the dried mushrooms are softened, no worries. 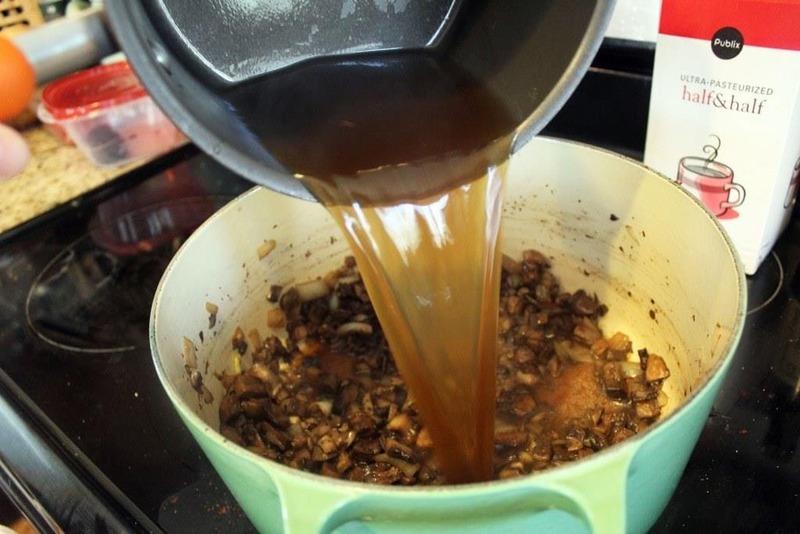 When the porcini are soft, remove them to a cutting board and pour the cooking liquid into the soup pot with the fresh mushroom mixture. Add the Worcestershire, too! Love this stuff. Yum! We’re getting there. Chop the remaining mushrooms from the stock. 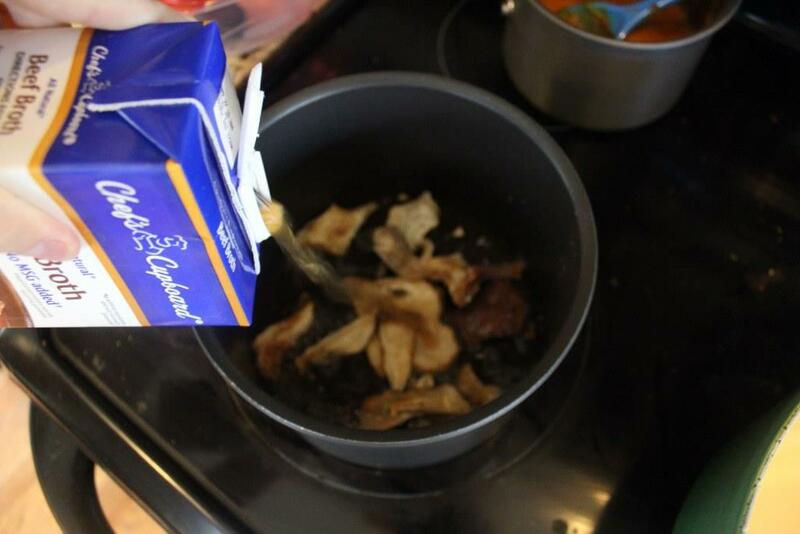 Add 2/3 of the porcini to the soup pot – we’ll save a few for garnish. Now, we blend. 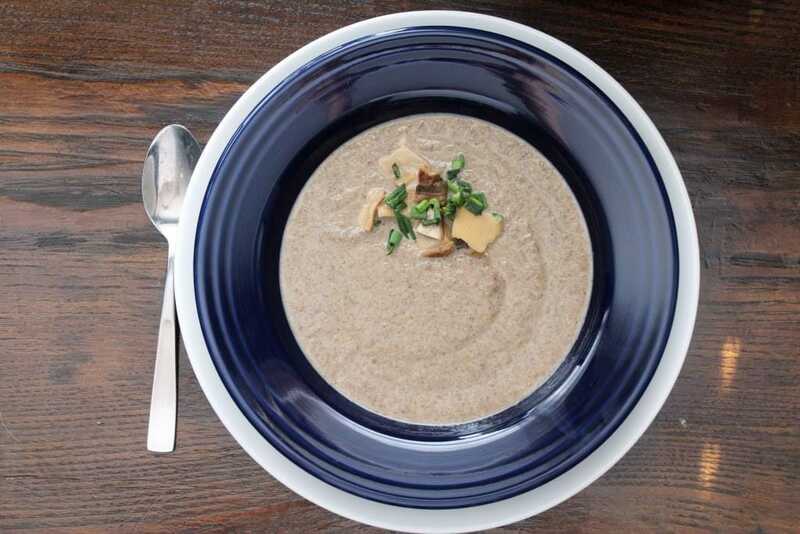 Use a blender or immersion blender or food processor to puree the soup until totally smooth. Then, pour in the half and half. 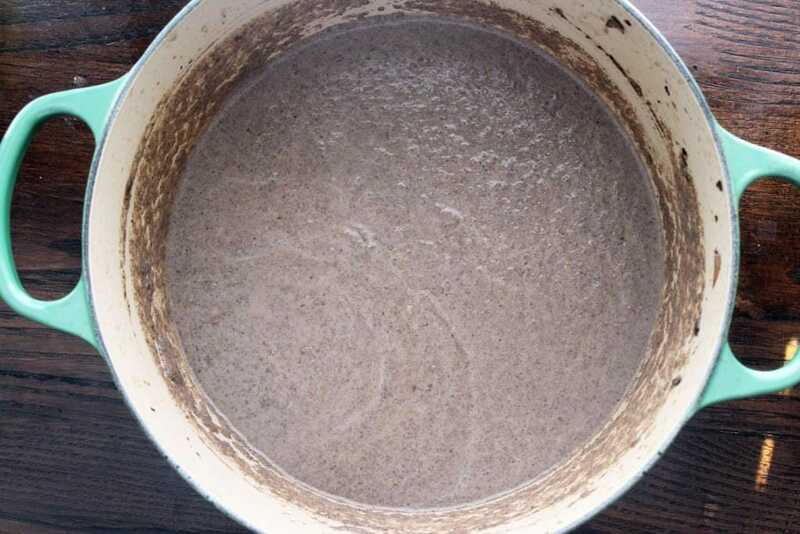 Bring this mixture to a bubble and taste the soup. 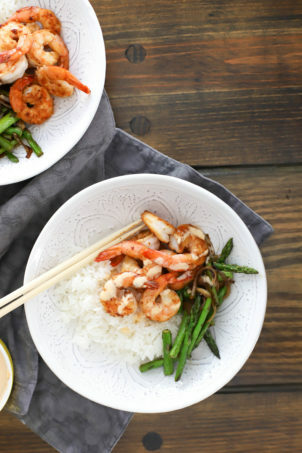 Add salt, pepper, or crushed red pepper until you think it tastes perfect. If the soup is too thick, add water 1/4 cup at a time to thin it out. 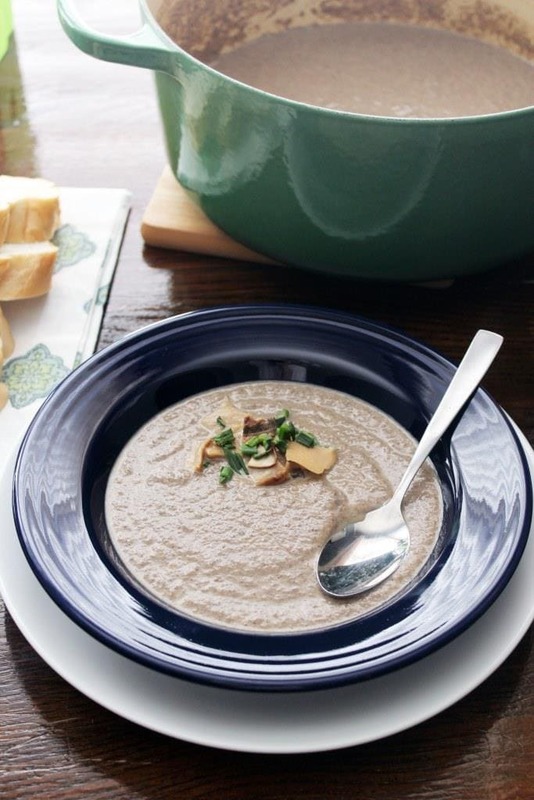 Mushroom soup! I love this. 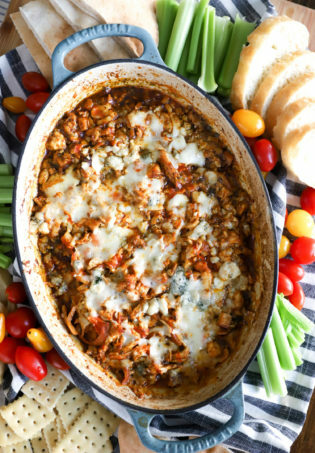 I’m a huge mushroom fan, and the texture of the blended mushrooms is almost like a …. grain? I don’t know, it’s hard to describe. The flavors are delicious, the ingredients are basic, and TRUST me. Make this. Oh! I topped it with the reserved porcini and some sliced green onions. Because yum. 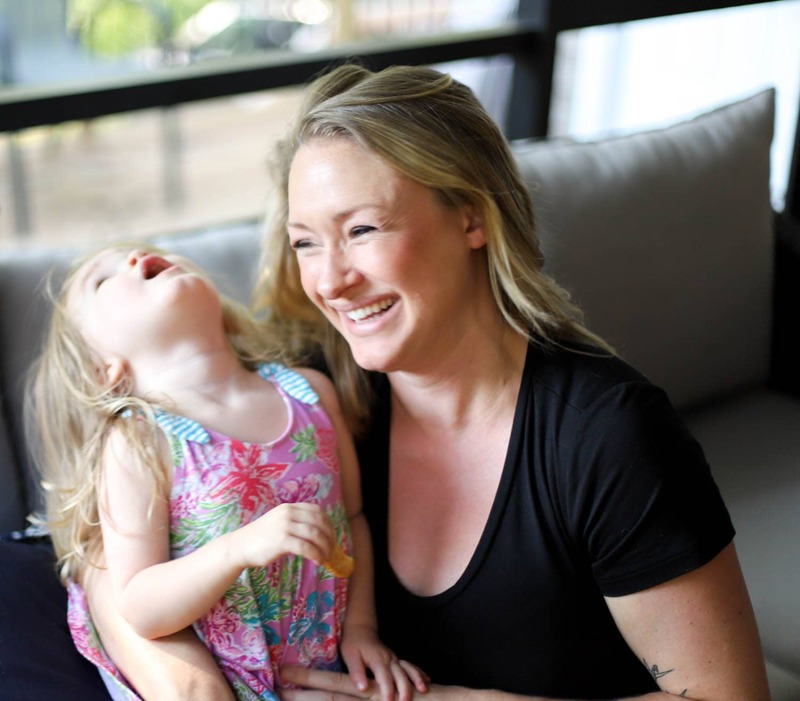 Enjoy this! It’s nice for the freezing transition we’re in right now, but not super heavy like some soups are this time of year. Try it. Love it. Trust me. 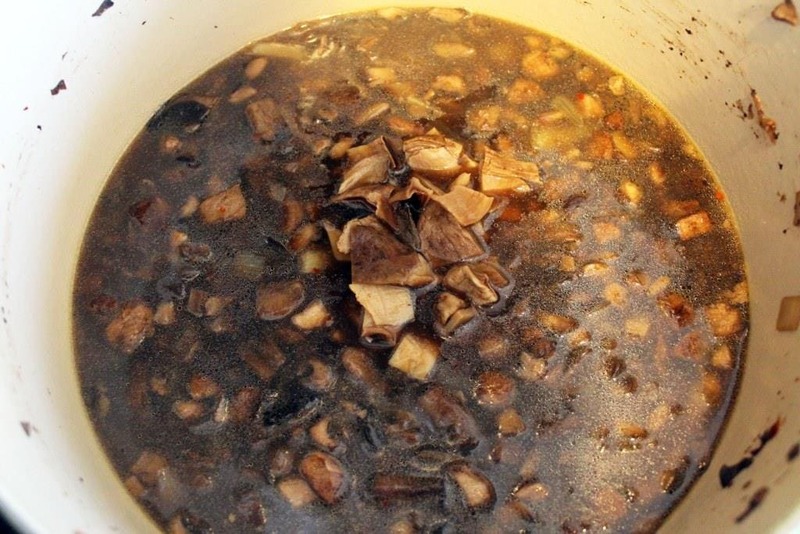 Place the dried mushrooms in a small pot with the stock over medium heat. Let simmer for 15-20 minutes until softened. 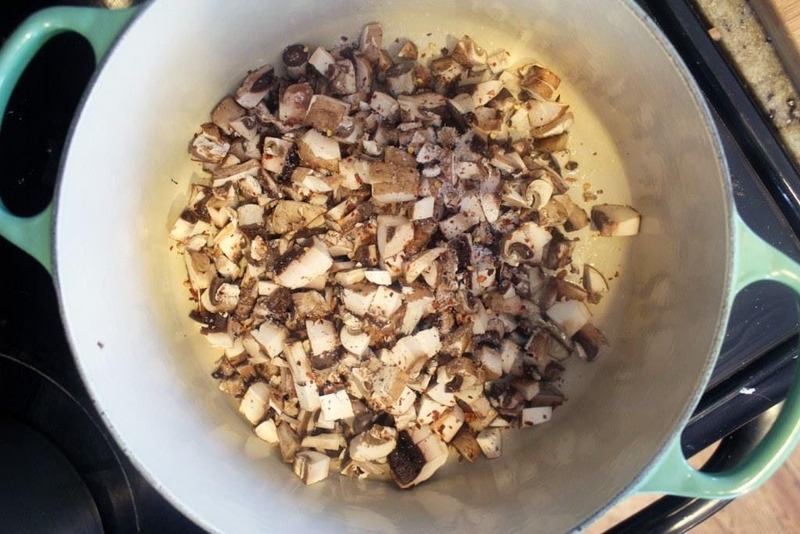 Remove the mushrooms from the stock to cool, then chop. Meanwhile, roughly chop the fresh mushrooms and add to a large soup pot over medium-high heat with a drizzle of olive oil and the crushed red pepper. Cook for 10 minutes, stirring, until the mushrooms are wilted and dark in color. Add the onion and garlic, and cook for 5 more minutes. 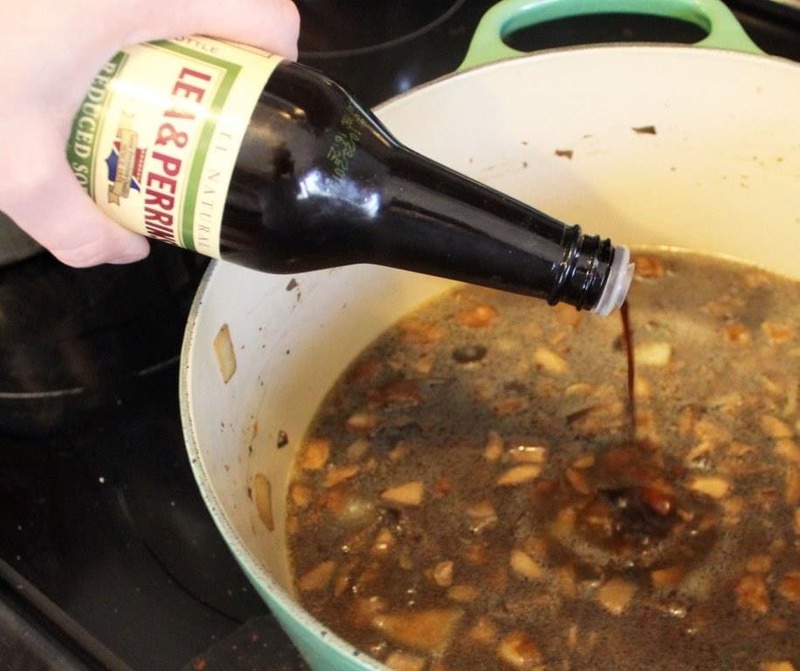 Pour in the beef stock used for the dried mushrooms, the Worcestershire sauce, and 2/3 of the reconstituted chopped mushrooms. Puree the soup in a blender, food processor, or with an immersion blender. Add the half and half and taste the soup; add salt or more crushed red pepper to your taste. If the soup seems thick, add water 1/4 cup at a time to reach a consistency you like. 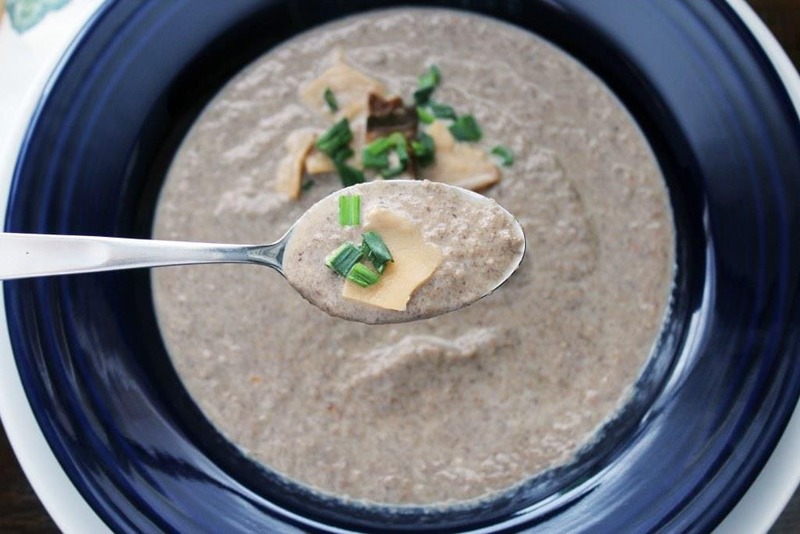 Serve the soup topped with the remaining reconstituted mushrooms and green onions, if desired.